“As mentioned above, there is as yet no Construction Industry Register. 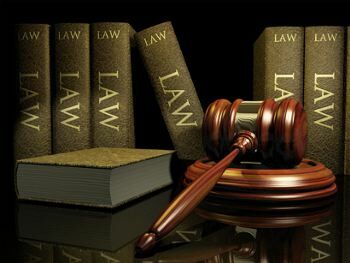 Until such a register is in place, it seems that an owner could nominate him/herself as the builder provided that he/she is prepared to say that he/she is satisfied that he/she is competent to undertake the work. 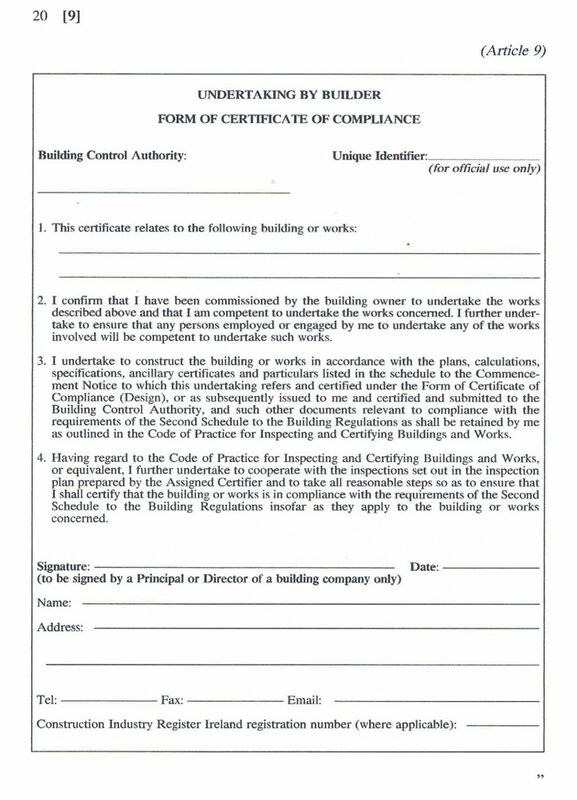 A self-build owner would then have to sign the form of undertaking by the builder confirming to the Building Control Authority that he/she was competent to undertake the work concerned and further undertaking to ensure that any persons employed or engaged by him to undertake any of the works involved would be competent to undertake such works. It is unlikely that most of the people who self-build would be able to correctly say that they were competent to undertake the work. The main contribution they would be providing would be a lot of hard labour rather than expertise in building technology and they generally would rely on friends, neighbours and contacts with expertise such as electricians, block layers, plasterers, roofers, etc. to provide the necessary expertise in these specialist areas. As mentioned above, it seems clear that the intention of the Department is that in due course it will only be possible for an owner to appoint a registered builder under these Regulations. It seems inevitable therefore that, from the date the register of builders is put on a statutory basis, it will no longer be possible to self-build as we know it. The advice note confirms self-building will end once the privately owned and operated register of builders CIRI is established on a statutory footing in March 2015. This is clearly the intention of the government and is the subject of an appeal by the IAOSB to the european ombudsman (see previous post here “Self builders escalate to europe: BC(A)R SI.9“). In the 12 months up to the introduction of a mandatory register this note suggests that whether self-builders can sign the builder’s completion form or not isn’t the main issue halting self-building this year. Rather it will be whether any members of these three professional bodies will assume certifier roles for self-build projects.